Cloudy this morning. Scattered thunderstorms developing this afternoon. High 57F. Winds NE at 10 to 20 mph. Chance of rain 50%.. Partly to mostly cloudy. Areas of patchy fog. Low 47F. Winds S at 5 to 10 mph. 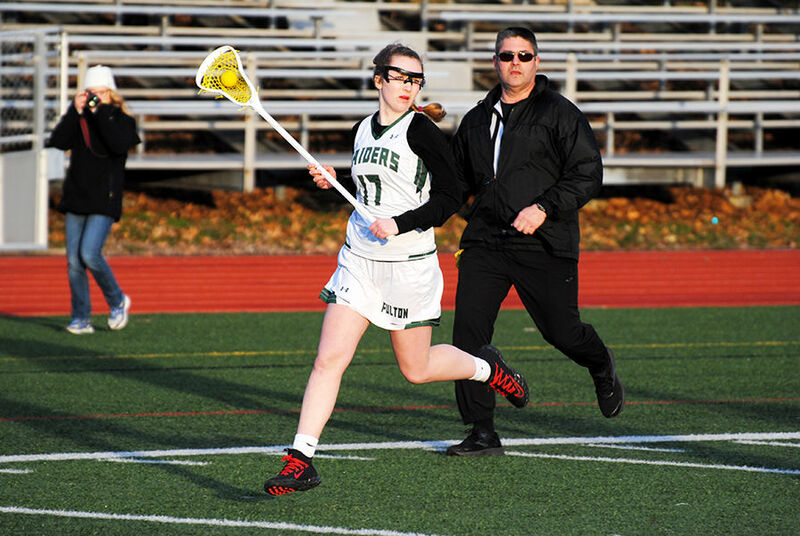 SYRACUSE — Senior Keara Patterson notched her 400th career point as the Fulton varsity girls lacrosse team topped Syracuse, 21-7. FULTON — Nick Noel notched the game-winning goal with 1:14 left in overtime as the Fulton varsity boys lacrosse team topped Whitesboro, 5-4, on Thursday. OSWEGO — The “Doing it Our Way” Spring Soccer Clinic, part of a Parents of Special Children program that is run by Oswego High School graduate and current Le Moyne College women’s lacrosse player Claudia Chetney, is gearing up for the sixth session for children of all ages and abilities. In efforts to help mitigate fire damage and casualties because of faulty or poorly maintained smoke detectors, New York lawmakers have passed a bill that will require going forward that new residents and homeowners buy a long-lasting smoke alarm with an extended battery. Who will you support for mayor? "A new beginning for the city of Oswego"
2 BDRM apt. in Phoenix. Utilities included. $675 per month.